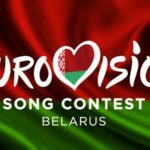 Rehearsals go into their third day and the competing country will get on stage to do a full dress rehearsal on this second time of performance just three days before the Junior Eurovision 2018 final. Noam is once again abosolutely stunning vocally and really seems to put himself in the song. His staging is simple but he himself performs confident and delivers the song as it should ne performed. Next for second rehearsal is Ireland. Multi colored stage, the gaelic language , energetic dancers feature Tyler’s 2nd performance delivering his catchy song in the way it should be performed. Next on stage for second rehearsal is Georgia with Tamar. Tamar is one of the acts that it’s all about the voice. Captivating vocals with impressively reach high notes. The charismatic act is amazing vocally that everything else fall in secondary level to comment on. Certainly one of the favorites for this year’s victory. Marija next to rehearse second time her entry Doma. The ethnic sound , amazing vocals and strong staging expressions makes the audience easy to connect with this song. She will do really well for FYR. Macdonia this year. Second rehearsal for Angélina and her entry “Jamais Sans Toi”. A totally energetic performance where the choreography does all the work to show cute, charming but professional the same time. Very good rehearsal fro Angelina who sees her stocks go up among fans. Daniel rehearses for a second time and puts himself in His song which features 90’s hip hop and r’n’b sounds. Vocally Daniel is good again and the backing dancers surely add another positive element to his performance. Fidan, gets on stage for her second rehearsal. It s one of those cases where the acts means much more than the song itself. Fantastic vocal, expressive movements put Fidan on the spotlight in this performance. The same time she is a sweatheart and she shows its connecting with the audience. If this year’s slogan fits totally to one performance most this is the one. Jael Lights up the stage totally and the whole stage is flooded an impressive light show. Jael herself sparkles in her dress and gives another stunning vocal performance. A very strong contestant for this year’s Junior Eurovision. It may be he and his trumpet but LEVON gives what is needed in such a stage. The charismatic young act is professional, vocally great and even alone on stage maintains our attention through out the whole song. Sweet and charming Efi closes todays 3rd day rehearsals. Her pinky coloured performance was much more energetic today coveying the sweetness of childhood . After these 10 countries the rehearsal of the opening act took place on stage together with the presentation of the competing countries and alongside with last year’s winner ,Polina Bogusevich from Russia. Tomorrow the rest 10 countries will make their 2nd rehearsals.